Facebook has spent much of first full year as a public company working on ways to help increase opportunities for advertisers and also bolstering its efforts to become “mobile best”. As 2013 wraps up, by its stock price, it appears that investors are finding the company’s strategy to be working — it has increased 158.4 percent to its 52-week high of $58.58 (at time of this publication). A lot of changes have taken place within Facebook over the past year. Perhaps most notably is the realization that it does know what it’s doing when it comes to mobile. But the year hasn’t been completely kind to the social network as it’s been plagued by a failed product launch and, of course, the Edward Snowden NSA scandal. As mentioned previously, Facebook’s performance this year may have proven to investors that the company is still working to make improvements and is innovating. Yes, it did encounter some issues from the get-go after it began trading its first shares, but this year would see the price finally end higher than its IPO price of $38, even possibly ending the year near the $60 mark. But what led the company to finally land on its feet and overcome not only criticisms about its mobile capacity but also about how it can help advertisers and developers reap the rewards of integrating themselves into the Internet’s largest social network? 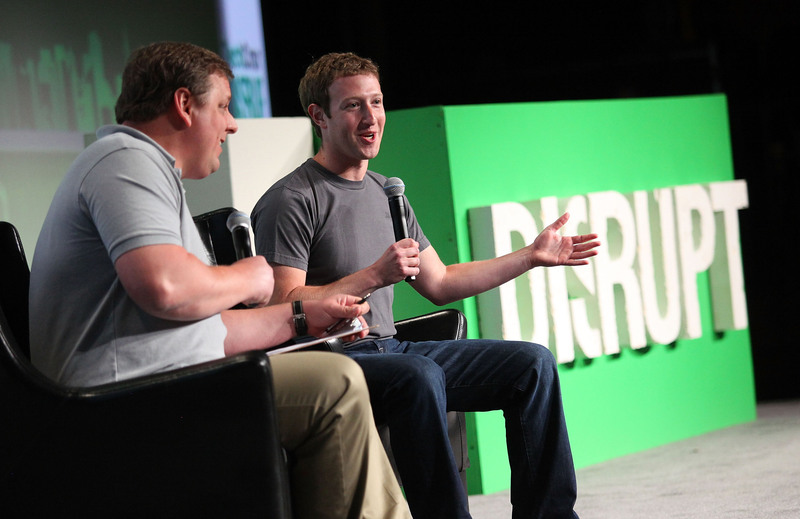 In his first public appearance following his company’s IPO, at TechCrunch Disrupt in 2012, CEO Mark Zuckerberg admitted that Facebook’s stock performance has “obviously been disappointing.” He also revealed that over the next three to five years, what will make or break the company would be on how it treats mobile. His Chief Operating Officer Sheryl Sandberg echoed these statements on CNBC saying that mobile and advertising products would be what wins over investors. Prior to the conference, there were iOS and Android apps available, but they were developed as much-criticized HTML5 versions. These apps had slow response and load times, intermittent notifications, utilized a UIWebView interface, and were said to crash frequently. Eventually, Facebook shifted its priorities to focus on native apps for the major mobile operating systems and things started to improve from there. But it wasn’t all about simply having an app — the company shifted its efforts to make sure that it’s social network was accessible no matter what device you were using, be it iPhone, Android, BlackBerry, Windows Phone, or even a feature phone. This year, Zuckerberg introduced a philosophy that Facebook wasn’t about just being on mobile first, but rather being “mobile best”. What exactly is “mobile best”? It’s Facebook’s way of saying that the mobile device is the best way to access its services. With these two words, Zuckerberg made it clear that the social networking company was going to move forward with its mobile initiatives. So did Facebook’s strategy work? 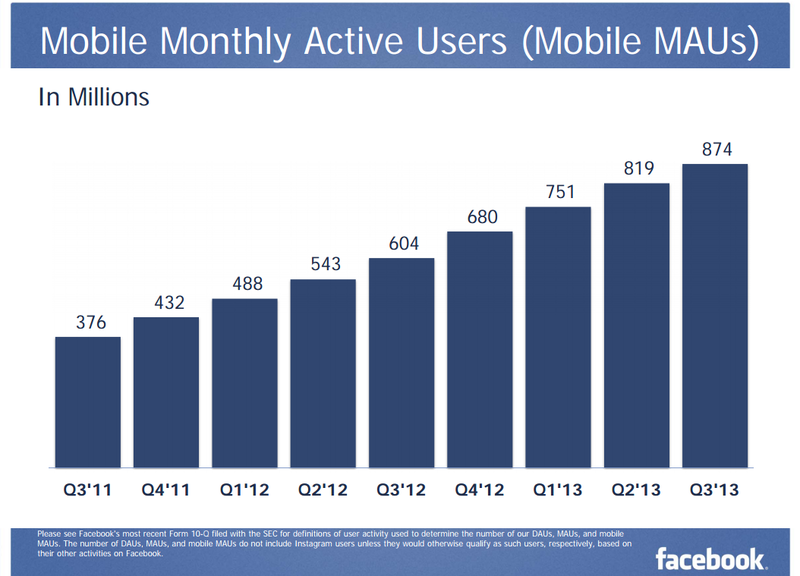 It certainly did as mobile usage has grown from 680 million monthly active users (MAUs) in Q4 FY2012 to 874 million in Q3 FY2013 (at the time of publishing, Facebook had yet to report its Q4 FY2013 results). Currently, it’s seeing an increase of 45 percent year-over-year. This fiscal year also marked the first time when the social network had more users on mobile compared to the desktop or Web browser. Advertisers even recognized this uptick as more budget was spent to entice users to pay attention to brands — in Q3 FY2013, ad revenue totaled $1.8 billion, a 66 percent increase year-over-year. Of that amount, mobile advertising represented 49 percent, or approximately $872 million. The launch of a test group for its Android app has also restored confidence in Facebook’s shareholders. This summer, it launched the Facebook for Android beta program geared towards allowing some users early access to new features in exchange for their feedback. Four months later, it garnered 1 million daily active users in the program and received over 1,000 direct pieces of feedback. This fall, the social networking company unveiled another user test program to get feedback even earlier. With the Facebook for Android alpha program, it’s fundamentally similar to the beta program, except that users will be exposed to really early features that may not have the same spit-shine and polish that you’d get in the beta or final release. However, while the company has received a much needed boost in its stock price, it needs to make additional improvements to build up a solid platform, something that many have criticized in 2013 as being a “missed opportunity” or simply at an end. Coming up, we’ll highlight some of Facebook’s stumbling blocks this year. In April, Zuckerberg launched what he thought was a great product called Home. It was an Android launcher that was billed as a way to help put people ahead of apps. However, when looking at Home, not much stood out from what you would get from an Android device, with the exception of three new features: Cover Feed, App Launcher, and Chat Heads. Home would become available on select devices, including the HTC One X, HTC One X+, Samsung GALAXY S III, and the Samsung GALAXY Note II. Facebook said that it was to receive updates every four weeks from the Google Play store. In addition to this announcement, Zuckerberg revealed that Home would be pre-installed on the HTC First smartphone. That decision didn’t play out so well as the sales numbers were so dismal that AT&T quickly priced the phone at $0.99 with a two-year contract (it didn’t even make it to the UK). But while the HTC First didn’t find its legs, Facebook Home may have. It was downloaded 1 million times four weeks after its debut, and while it apparently didn’t impress some, the company has been releasing improvements on a regular basis. Recognizing the popularity of its signature features, Facebook brought Chat Head and Cover Feeds to its native iOS and non-Home enabled Android apps. In the latter half of 2013, Facebook would unveil further updates to Home, including Flickr, Tumblr, Pinterest, and Instagram lock screen integrations and also time, weather, and notifications. Too cool for … teenagers? Anthropologist Daniel Miller penned an article in The Conversation saying that teenagers leave Facebook because of their parents. It turns out that they’re embarrassed to be seen on the same social network as their mother and father — therefore it’s not “cool” anymore. Wired doesn’t think that the company should worry about it as it won’t change Zuckerberg’s mission of creating what it calls a “global utility”. For the most part, this older demographic doesn’t turn to tools like Snapchat or Instagram to maintain long-term relationships. Those tools are great for conversing with your immediate social circle, especially when you still live with your parents and have to keep stuff on the down-low. But they’re not replacements for a comprehensive social tool you can tailor to all sorts of needs. Sandberg denied any such teenage user exodus while on stage at the D11 conference in May. She said that any such claim was unfounded and believes that while messaging services like Snapchat, Line, WhatsApp, and others are gaining popularity, there’s plenty of time left in the day for this particular segment to use Facebook even more. No matter how Facebook perceives this issue, whether it be major or a minor bump in the road, it still highlights an interesting dilemma for the company. How exactly can it improve its mobile performance to appeal more towards the teenage audience while competing against the likes of Snapchat? Can its platform sustain such innovation? The reality is that teens have every day social situations that adults don’t have. They have a real life social network every single day and for that they are using a lot of real time text related communication. Home wasn’t the only major product announcement that Facebook unveiled this year. It also launched Graph Search, a way for people to query their social graph to find out what people are sharing about a particular topic. It is currently only available to the social network’s English audience, but has become a critical part in better understanding user trends and behaviors to potentially improve targeting of ads and other services. The necessity of this product becomes apparent when you think about the millions of status updates that are posted to Facebook every day along with the 240 billion photos and 1 trillion connections that exist in the social graph. Graph Search isn’t Google or Bing added on top of Facebook — it’s designed to deliver an answer based on specific queries like “TV shows watched by doctors” or “Music liked by people who like Mitt Romney” or even “Friends that like watching Game of Thrones that live in San Francisco”. 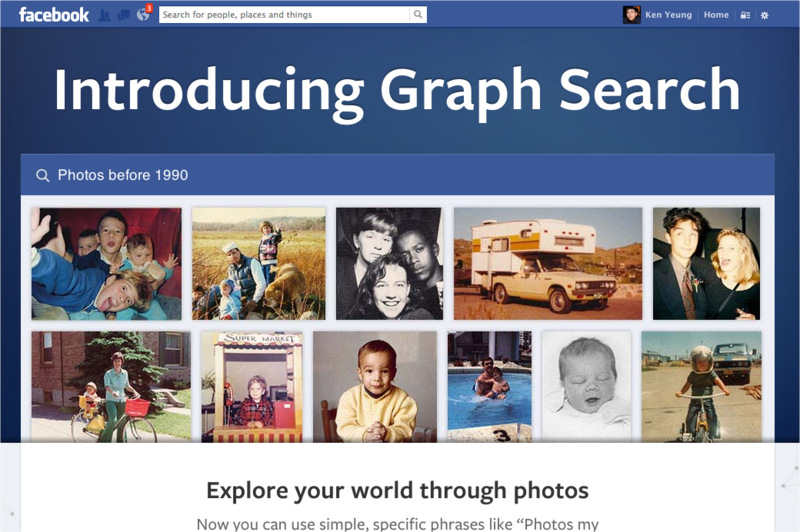 Launching Graph Search was no easy thing for Facebook to do. It first needed to parse through all the content and find a way to transform plain text descriptions in a user’s profile into structured data. Previously, the fact that you were interested in “House of Cards” or “Skydiving” was just words. Facebook’s Entities team found ways to add more meaning behind these choices, helping others search for others with similar interests and better connect them, while also developing new ways to target ads and make money off of it. While available just on the Web browser, Graph Search can give Facebook a barometer of things people are interested in, which will better help it determine what’s trending. The components are all there to further mimic what Twitter already has in place: starting this summer, it added support for hashtags that lets users discover shared interests and add more context to what they’re posting. It followed that up by testing a trending topics feature on its News Feed that not only could pull queries from Graph Search, but also popular hashtags like #NelsonMandela or #SantaClaus. While a redesign may not necessarily be the most newsworthy thing in the world, in this case, it was done as a way to bring parity between Facebook’s Web browser version and what one sees on mobile devices. In May, the company unveiled a more organized and personalized News Feed that will not only give users the top stories, but also socially relevant and local content from their friends and family near them. As the central place for information about users, Facebook says the redesign was to evolve it into a newspaper of sorts. It brings elements of a user’s Timeline into the story to better understand what you and others have in common, their cover photo, along with other things. It will help you discover what’s important to you, what others in your network is saying, Page and subscription updates, and more. In looking back at this update, it’s fundamentally an aesthetic change. However, the fact that it now has some consistency across desktop and mobile devices is important — helps to show that Facebook isn’t looking at things piecemeal anymore. But while a valiant effort, will it bridge the devices to create a single form of Facebook? Nevertheless, Facebook is still proceeding with other options to help make News Feed relevant to its users. This year also saw the company pull back the shroud of mystery surrounding how content gets surfaced on News Feed, talking more about its algorithm and other techniques being used to make sure that users see what they need and want to. While the company was pursuing new products for consumers, it was also making changes to its advertising platform to help increase its revenue. 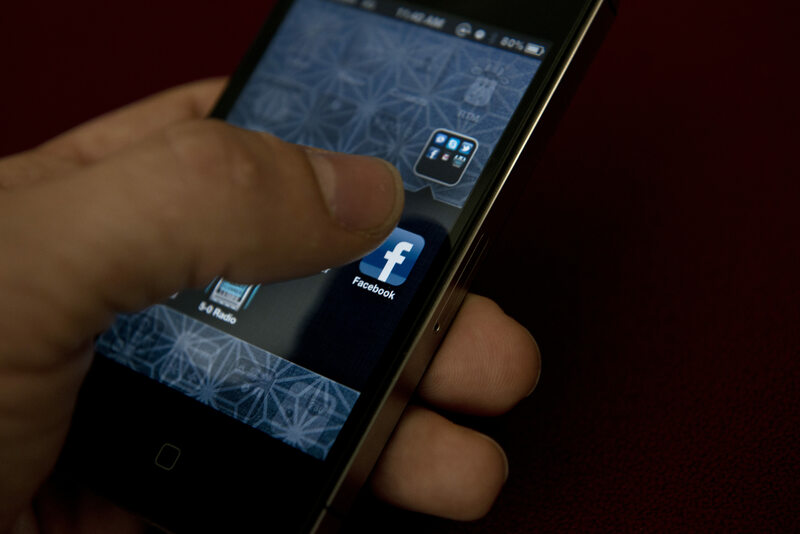 In October 2012, it unveiled its mobile app install ads, which became another opportunity for developers to monetize their applications built around Facebook’s platform. Over the past twelve months, this ad format has been improved so that it now enables developers to specify whether their apps can be targeted based on a user’s operating system or whether they’re on WiFi or a data plan. Additionally, the creation process has been simplified so that one only needs the App Store URL to create the placements. This fall, developers were able to utilize custom calls to action in their ads, whether it’s “Open Link”, “Use App”, “Shop Now”, “Play Game”, “Book Now”, or anything else. The idea is to help encourage potential users to tap and interact with the ads. Recently, Facebook also rolled out the latest step in its attempt to craft a DoubleClick-like service for mobile advertising on its platform — now videos can be utilized and all campaigns can be on a cost-per-action payment program. Zuckerberg’s $1 billion purchase also released a couple of product features in 2013, both which are direct snipes at its competitors. Useful for the consumers? Yes. But innovative? Perhaps not. The first update came in June when Facebook introduced a new way to take video and post it to Instagram. 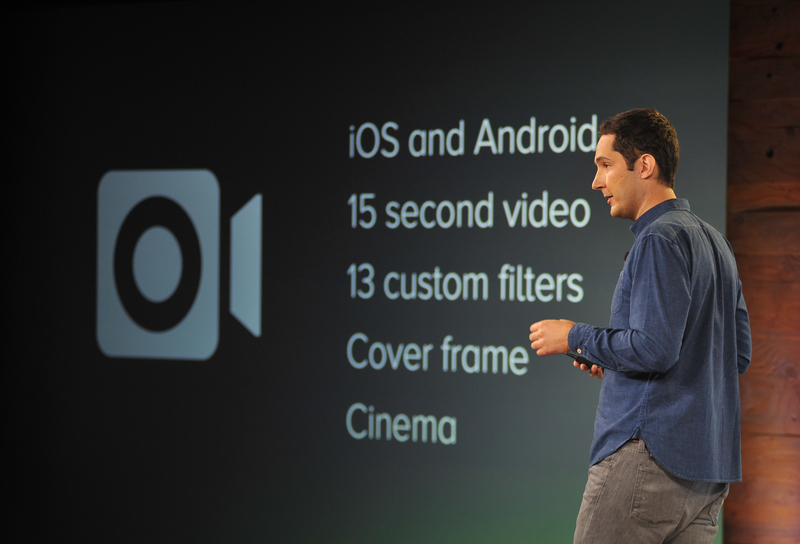 Users could take up to 15 seconds of footage, apply one of 13 special filters, and share it with their friends. Very similar to Vine, except that there’s no filters and you have 9 more seconds. Instagram’s co-founder Kevin Systrom said that his app’s mission has been to be a tool to help users capture moments that will be remembered forever. At the time, there were 16 billion photos shared on Instagram alone, with 1 billion likes every day. It was also being used by more than 130 million people every month. Months later, Facebook was back at it again to unveil a new private photo and video sharing feature called Instagram Direct. The Snapchat-esque service allows users to send photos to specific people, but lacks the ephemeral experience that has grown increasingly popular this year. While probably a useful tool for some users, it’s certainly a reaction to the company’s failed attempt at acquiring SnapChat — Zuckerberg had reportedly offered the messaging service north of $1 billion for the company, but was rebuffed. So now that Instagram runs the entire media landscape, it’s about time for it to begin monetizing, right? Zuckerberg had said that he expects Instagram to generate “a lot of profit”, but that ads will appear at the right time. That time appears to be now, as 2013 saw the beginnings of an ad product that perhaps saw relief from shareholders and advertisers, but also grief from users. 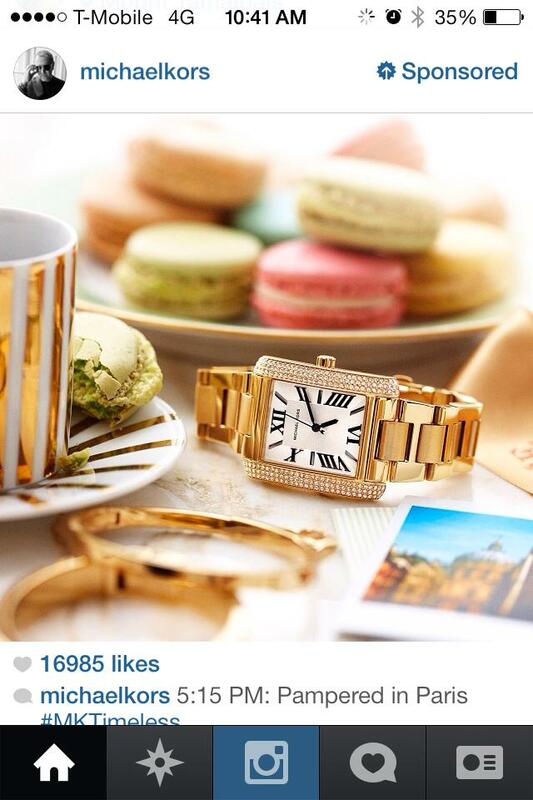 For those in the US, the company began launching “occasional” in-feed image and video ads. Fashion designer brand Michael Kors became the first to run ads on the photo-sharing social network and Instagram’s studies show that ad recall, reach, and awareness were positive. However, it’s important to note that this study was done on four active campaigns — the company says that even so, the results are “promising”. 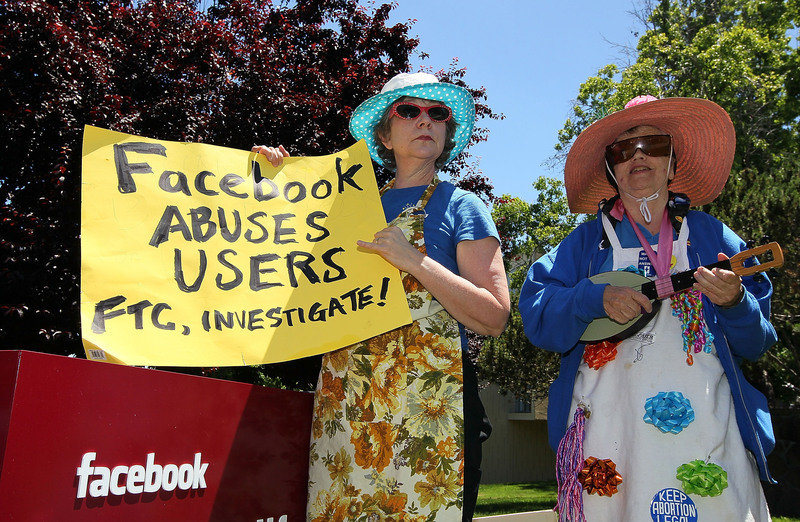 Facebook as a company has had to endure numerous complaints from privacy groups, users, and the general public. Just like any other year, it has spent a great deal of time reminding everyone about its improved privacy settings. In 2012, the company simplified its privacy settings to make it easier for users to control what data they wish to make public. It also improved the permission process given to apps. Throughout this year, it released updates to help various audiences adjust what content is visible, including those victims of domestic violence. However, for all of its education efforts, Facebook has also made a few mistakes as well. This summer, it admitted there was a privacy flaw that impacted 6 million users. The result was the leaking of email addresses and telephone numbers that anyone could have had access to. At the time, the company said there was no malicious intent from the bug and it also sent an email informing users of the problem and what it was doing to resolve it. At issue was the addition of new language that states users will automatically grant Facebook permission to use their names, profile pictures, and content for marketing ads or commercial content. And, of course, let’s not forget that the social network no longer has the option to control who could look up user Timelines just by their name. This feature has been completely removed following the roll out of the aforementioned updated privacy settings. In June, Facebook announced that it would be including in its transparency reports a list of national security orders received from the US government. Included would be those from a Federal Intelligence Surveillance Act (FISA) court and any National Security Letters. Facebook has also picked up some new companies to help expand its offering. Perhaps one of the most well-recognized companies (at least with developers) that it acquired this year was Parse. Founded as a mobile platform as a service company, Parse has helped developers quickly build apps through its ready-made APIs and services to various technologies. Naturally as Facebook acquires companies, many would expect them to be shuttered. However, Parse has remained available to this day and is continuing to flourish. A month after the acquisition, Parse reported that it now powers more than 100,000 apps, an increase of 25 percent prior to the deal. It also held its first developer conference in September. 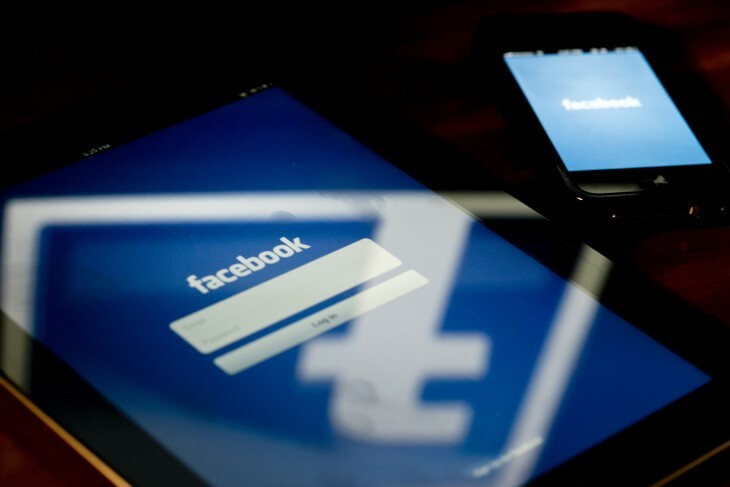 Certainly the Parse deal has helped Facebook build more credibility with developers and is a welcome sign to stockholders who may see the potential for a more stable mobile platform now. Other services joining the Menlo Park-based company include Atlas, Storylane, Osmeta, Spaceport.io, Monoidics, Jibbigo, Onavo, and most recently, SportStream. As 2013 wraps up, there’s certainly been quite a bit that’s been going on in Facebook. However, one thing appears to be clear: it’s a mobile world and the company has started to embrace that. Stockholders and developers are interested in seeing what the social network can do for its 1.19 billion monthly active users across every device. And as Zuckerberg seeks to connect the next 5 billion people, it’s not going to be behind a desktop or laptop computer. No, it’ll be from the little devices that is in your pocket, allowing you to communicate with others around the world from anywhere you are.